When I heard the topic 'Nerdville' I immediately started envisioning a puppet/cartoon show staring a bunch of nerdy friends going on adventures. 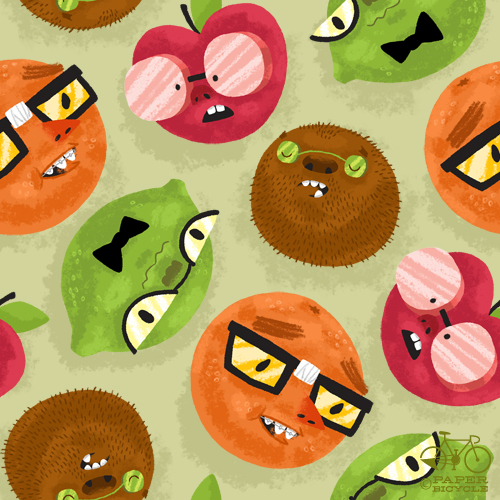 When I started to sketch them their bulbous, knowledge-filled heads somehow became delicious fruit. Naturally.